Wendy is a practicing psychotherapist with both a professional and a personal interest in finding ways to heal anxiety without medication. She has dealt with anxiety all her life and knows what it’s like to live with the kind of worry and fear that make the smallest things in life difficult. Please feel free to get in touch. Wendy's publishing credits include two novels and a number of short stories. Learn more. 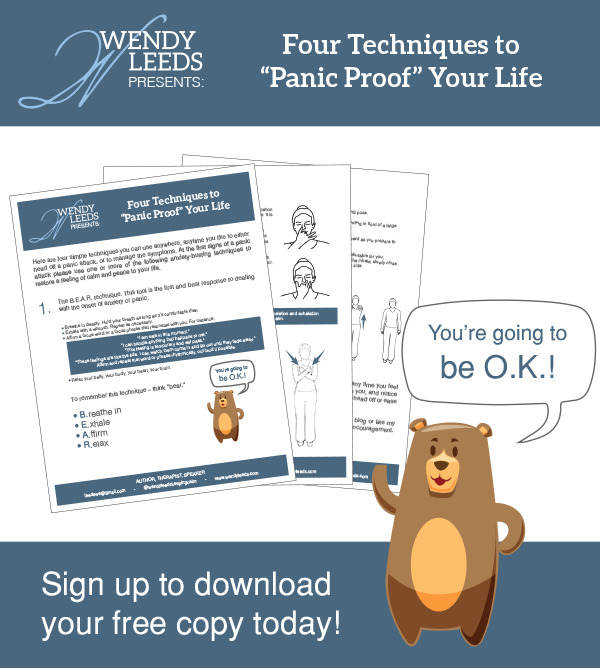 In addition to holding two graduate degrees, Wendy is a multi-published author and Certified Reiki Master.